Roy Orbison 3’s favorite toy is a guitar! He loves to play. 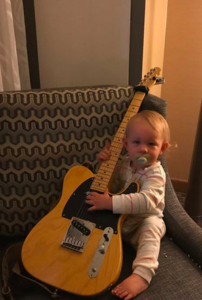 He is 20 months old and already takes guitar lessons from a teacher. And I teach him a lottle everyday. We’ll post another Roy 3 guitar video soon.